Have a retaining wall that is in need of some lighting or highlights. Look at low voltage LED landscaping lights. 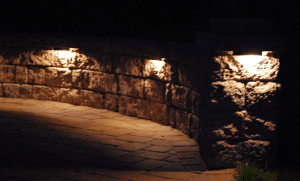 These retaining wall lighting fixtures are made to slide under the landscaping blocks and provide lighting for a walkway or just highlighting you wall after dark. The LED lights will shine a cool white light. You will need to supply a power supply and wire to connect your lights. Running the wire is takes the most planning and time when running low voltage lights. Now lets look at these LED retaining wall lights and see it they will complete your outdoor lighting needs. You can light up a path or just highlight your retaining wall material. Paver wall lights are bar lights with a bracket to put between the layers of pavers. The weight of the paver will hold the light in place. The small LED light will put out a very bright light to illuminate your area. The LED light will last over 40,000 hours. You may want to test the amount of area each light will cover. Just connect the light to the transformer and hold in place under a stone temporary. 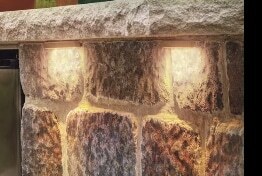 This process will let you see the results before putting these lights under the stone. Unlike regular lights, this type of light is more difficult to move around once installed. 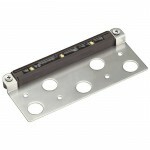 These lights can also be purchased without the bracket to place on steps or deck areas that need illumination. These lights will need to be connected to a low voltage power transformer with the proper wire. Make sure that you add the total wattage on the run. After making note on how long the run is, you can determine the size of the wire and the size of the transformer. I have a post on what size of wire you will need when installing any low voltage lights here. Placing the retaining wall lighting fixtures in the retaining wall can be done while building the wall or after the wall is done. It will be easier to place and wire while building the wall as you have not back filled the area where the wire has run. Low voltage wire is normally run behind the retaining wall, then under blocks to connect to the retaining wall light fixture. This makes it very easy to hide the wire without much trouble. If you are using blocks or stones that are full size and do no have a wedge recess in back to make a curved wall, some modification of the stone will be needed to make it lay flat. These types of stone will require grinding a path so that the wire will not raise the block when installed. Placing the light under the paver and connecting to the power wire in the space behind the pavers after the wall is done is not that much work. If you do not want to unstack your wall you can use a pry bar to lift the paver to get the wire and bracket under the stone. Connecting to the power wire is no different than regular low voltage lights. Nee more information on how to get the proper wire or transformer for your low voltage lighting needs, see my post here. If you have tested the location of lights before the install, no further adjustments will be needed. The LED bulbs are tested to last 40,000 hours of service. The brass or copper finish will turn , but will not corrode over time. the patina color will add to your outdoor decor. When purchasing your retaining wall lighting fixtures, consider the materials that they are made of, to match your decor. 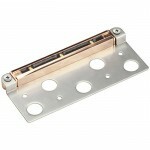 The better fixtures are made of brass or copper material. The aluminum ones will corrode and not last as long in the outside environment. If you have any questions or comments on your lighting or other outdoor living space needs, use the form below. I will respond back shortly. Hi John, I know my dad is LED light crazy and he loves the 12V LED floodlights that are on the market these days, they are weatherproof at IP66 and low power because of the LEDs over another lamp type, they are a great little unit that work out to around $10-15 per light depending how many you purchase. Something like that could also be good if you wanted to light up your retaining wall with a full wash from afar. He gets his through various sellers on ebay – but just need to confirm the quality before buying such items. LED is the way too go. I had a friend who worked at this company called SloanLed. What got me interested in them was that they have many uses. These lights use very little energy and they are very affective. They also can be really expensive. Some of the nicer cars have them..you can even grow plants with them. 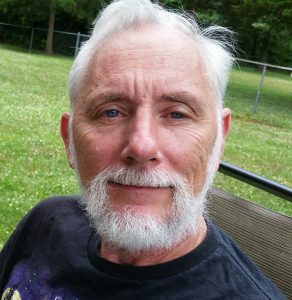 Interesting site once again. These LED lights will be great for retaining walls. The light will last longer than your house. The installation is not for the beginner. For the size they put out a lot of light.